Iran sentences Washington Post reporter Jason Rezaian to prison. 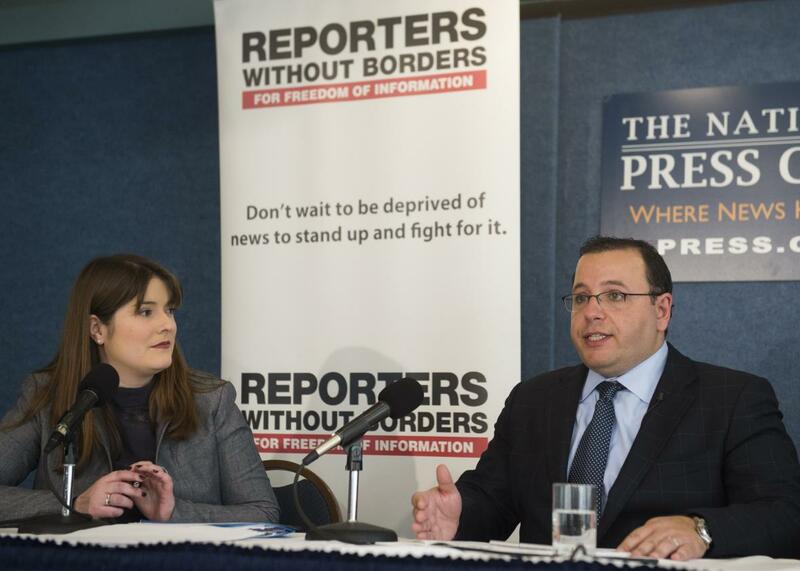 Ali Rezaian, brother of Washington Post Tehran bureau chief Jason Rezaian who has been detained in Iran since July 2014, speaks alongside Delphine Halgand, USA Director of Reporters Without Borders, as they discuss the World Press Freedom Index 2015 during a press conference at the National Press Club in Washington, DC, February 11, 2015. Iran has sentenced Washington Post reporter Jason Rezaian to prison for an unspecified period of time, the state news agency said on Sunday. The spokesman for Iran’s judiciary announced the punishment in a statement, the Associated Press says. But as has become the norm with this case, details were scant. “Serving a jail term is in Jason Rezaian’s sentence but I cannot give details,” the spokesman said. He added that the verdict is “not finalized,” in what was an apparent reference to a possible appeal. We’re aware of the reports in the Iranian media, but have no further information at this time. Every day that Jason is in prison is an injustice. He has done nothing wrong. Even after keeping Jason in prison 487 days so far, Iran has produced no evidence of wrongdoing. His trial and sentence are a sham, and he should be released immediately. Rezaian, who grew up in California, has covered Iran for the Post since 2012.